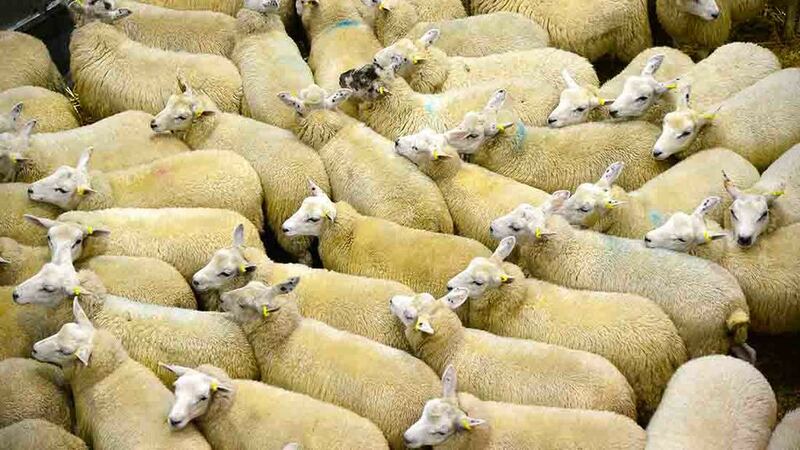 Pasteurella bacteria exist in the environment and in healthy sheep all the time, making it a recurring risk year after year. Pasteurellosis is an opportunistic disease which is commonly triggered by stressful events or environmental conditions. These may be flock handling tasks, other issues like worms or trace element deficiency, or during cold weather and occasions where there are large differences between day and night temperature. Speaking at an AHDB sheep workshop, Katie Waine, an AHDB/MSD funded farm animal pathology resident at Nottingham University, said the key to prevention is to keep animals protected with strong immunity. She says: “Pastuerellosis can affect all ages, but most commonly store lambs. It has two main forms caused by two types of bacteria. “The first leads to pneumonia and is typically seen in lambs at three to five months of age, although can occur in adult sheep. Pasteurella bacteria live in the environment and in healthy sheep all the time so maintaining good immunity is key. Good nutrition through pregnancy will help ensure new born lambs receive good quality colostrum to help their immunity. Vaccination stimulates immunity, but only if done correctly, which includes the right storage, dose and number of injections, administered at the correct point using clean equipment. Ewes vaccinated during pregnancy will pass protection onto their lambs in the colostrum, covering them for the first few weeks of life. Lambs can then be vaccinated from three weeks of age, initially requiring two doses. IN contrast to a healthy lung, which is spongy and full of air, a lung infected with this type of bacteria would be very dark red in colour, hard and compressed. The natural reaction of the animal’s immune system in this situation is to try and get rid of the infection, which ends up being a vicious cycle of bacteria damaging the lung and the body’s defences working against it, which leads to further inflammation and damage. In some instances, this process can produce a fluid which causes the lungs to stick to each other, the heart and the chest wall, and means the lung is not able to expand to get the air in it needs. Eventually the lung tissue becomes unable to take oxygen in which it would normally transport around the body. This is the point where animals will display visible symptoms, like breathing more quickly and heavily, as they struggle to get enough oxygen in to transport around the body. THIS occurs when bacteria get into the bloodstream and it often explains sudden death in store lambs. It works very quickly, which is why animals can appear to be healthy one evening and dead the following morning. a smooth pipe connecting the mouth with the stomach. Another classic sign is bleeding under the skin, as the bacteria in the bloodstream damage the blood vessels and spread to the organs, leading to organ failure and death. Previous Article Adding value to British farm produce: What are the key areas of food growth?